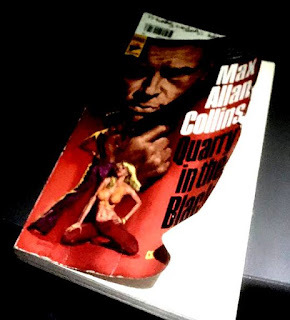 Max Allan Collins has his usual fun with history in Quarry in the Black, published in 2016 and set in 1972, during the Richard Nixon-George McGovern presidential campaign. One example is Quarry's dismissive reference to Watergate as a third-burglary — fun because that echoes Nixon press secretary Ron Ziegler's dismissal of the scandal that would bring his boss down, and also because Collins is a liberal Democrat. In a grimmer vein, the novel cites a legacy of anti-black discrimination in Ferguson, Mo., a suburb I suspect many people never heard of before the shooting of Michael Brown in 2014, 42 years after the time of the novel's setting. 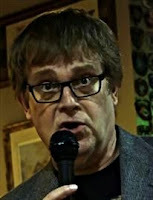 Historical novelists, or those who simply set their books in the best without necessarily exploring that past seriously, have the disadvantage of hindsight: They know how the history turned out, and their job then becomes to wield that knowledge lightly, to remember at all times that the characters cannot possibly know what the author does. Collins' Ferguson passages veer close to bookishness, to my mind, but the Watergate references as well as an allusion to Rosa Parks are delightful, a wink from Collins to his readers right over the unsuspecting heads of his characters. Your question is who else does this well? Who else writes crime fiction set in the past, uses history lightly, and never forgets that the characters do not know how events will shake out? John Lawton provides a beautiful example in A Little White Death. Who else does it as well or almost as well? I’m not sure how to define “uses history lightly,” but both John McFetridge and Adrian McKinty are well into excellent series set 30 years ago (McKinty’s Sean Duffy novels, set during the Troubles) and 40-ish years ago (McFetridge’s Eddie Dougherty novels set in Montreal). Both series are excellent and give outstanding depictions of both time and place. Of course, there’s also James Ellroy, but I’d say applying “lightly” to anything he does may be a stretch. Good choices. I've proposed McKinty and McFetridge as a school of authors who write as, and through the eyes of, adults about events they lived through as children and have now become history. There's an element of "What was all that stuff REALLY about?" in their books. Ellroy takes history seriously, all right, but to turn it upside down and reimagine it. But a lot of crime fans read him, and he's been recommended to me occasionally, so he's probably a good choice. Maybe I'll even get around to reading him one day.